Heralding the official opening of crawfish season on the Gulf Coast, the Exploreum's Junior Advisory Board is hosting a very special 10th annual Crawfish in the Courtyard. 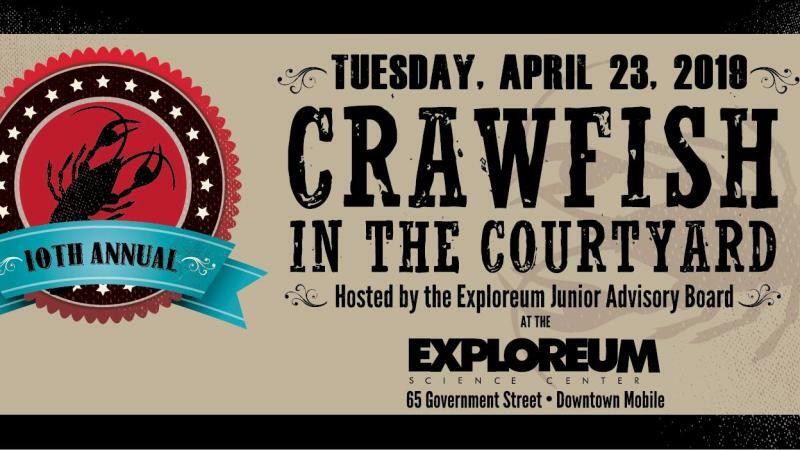 The signature Cajun-themed fundraising soiree will be held at the science center Tuesday, April 23rd at 6:00pm. Libations provided by Serda Brewing Co.! All event proceeds will benefit Discover Science, the Exploreum’s program with the Mobile Housing Board to provide underserved children engaging educational science experiences including IMAX films, lab demonstrations and science camps. More than 300 guests attended the previous crawfish event and raised $15,000 for the program. Event hosts are the Exploreum’s Junior Advisory Board, a volunteer organization of leaders from the young professional community dedicated to raise awareness and support for the Exploreum Science Center. Admission to Crawfish in the Courtyard information and online ticket sales are coming soon. A finite number of tickets will be sold to ensure sufficient feasting by attendees. Tickets are $25 in advance and $30 day of the event if available. 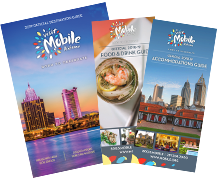 • FREE parking options include the lot across from Fort Conde on Royal Street, Water Street lot by Cooper Riverside Park, and very limited parking around Mardi Gras Park. *This is a 21 & up only event.